Elm Crest Manor is owned and operated by Peace Church of New Salem, ND, and opened in 1969. Elm Crest Manor is a 68-bed non-profit nursing home which provides a program of geriatric services and continuous skilled nursing care. 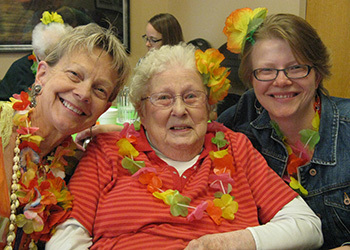 In addition, Elm Crest Manor has 19 assisted living apartments. “Dedicated to providing loving care” is our pledge and promise. We offer a small intimate environment so our residents and staff feel like a family in a home-like atmosphere. Personalization and knowing individuals enable us to provide that feeling while still maintaining a high level of quality care. Visitors are welcome every day of the week. Come see our residents and friendly staff in action. Please contact us to learn more about our positive and enriching environment at Elm Crest Manor.